Can purchase is an important milestone in our lives. It signifies we're quite sorted on the essentials of life and now ready to step up to the luxury of owning our own cars. Most of us can afford to buy only one car and want it to be the best our money can buy. We do spend lots of time researching, we want our cars to be unique and special. While I keep deferring my own car purchase, I try to keep myself up to date with the latest products and services available in the industry, for my own knowledge purpose and to share it with my blog readers. Maruti Suzuki is revamping its showroom experience. After creating Nexa for premium products, conventional dealerships are being revamped as Maruti Suzuki Arena. 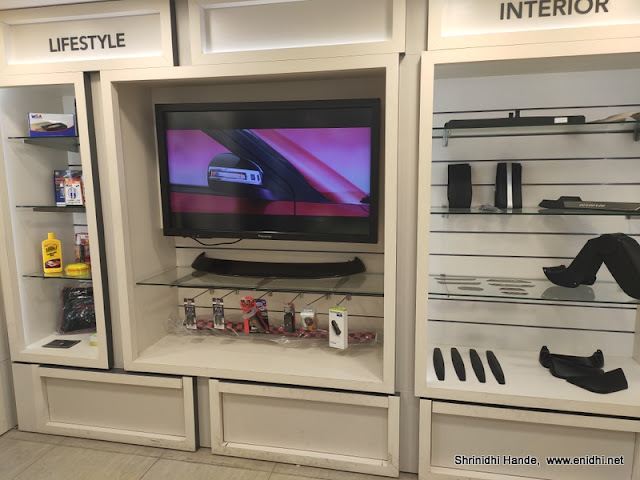 At the core of this revamped customer experience are the interactive solutions deployed to make it easier for prospective customers to understand a product, its variants, try customizing it with an array of accessories and arrive at a decision quicker. 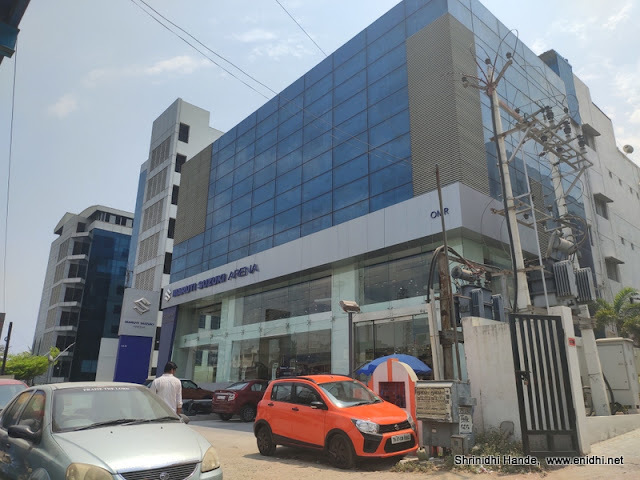 I visited Maruti showroom near Perungudi toll gate in OMR recently and this post shares my experience. Earlier, visiting a showroom involved lots of manual process. A sales man would provide us with a brochure of the product we specify- then we’ve to go through it- which is not very convenient when you’re personally in the showroom- you’d often ask the sales staff to explain about the product and listen to him. He will provide a well rehearsed narrative as to why the model you’re looking for is a great buy. Now this is all fine in a traditional world. But modern car buyer is more demanding. He/she would have done some basic research before visiting the showroom and would need every possible details about the car before making a decision. Modern buyer hates being lied to, hates being tricked into believing something- he/she would love to verify things first hand. Maruti has done the right thing in this aspect, by providing an interactive solution to visitors- Upon my arrival, my basic details were collected in an ipad- I registered and then I was provided with some refreshments- water and coffee. Then I was guided to a large vertical touch screen which had some basic information about the car models- it wouldn't show variant specific pictures or provide 360 degree view, nor comparison with competition models. Next I headed to the accessories section, where there was another horizontal interactive screen. Here I could customize a car with various accessories and see how they appear on the actual car. I liked the specificity of the feature- if I select LDi, I will see actual LDi, if I select VDi, I see actual VDi- this is an important aspect as every ad will only contain top end variant- if you're buying a lower variant it is very hard to get genuine look/actual feel before purchase. We were earlier forced to look at the top end variant, then refer the brochure to figure out what all will not be available in cheaper variants. This experience at Maruti's accessory configurator was very specific and useful. I began with a red Brezza VDi and proceeded to add lots of accessories to it- alloy wheels, chrome finishes at various parts of the car, cladding, stickers, seat covers and so on. For each accessory available options, their pricing is shown and as we make selection, total price keeps adding up, to give an idea of the total amount we will have to pay- if we feel the total is exceeding the budget, we can go back and reconfigure- drop some expensive accessories and select something else. 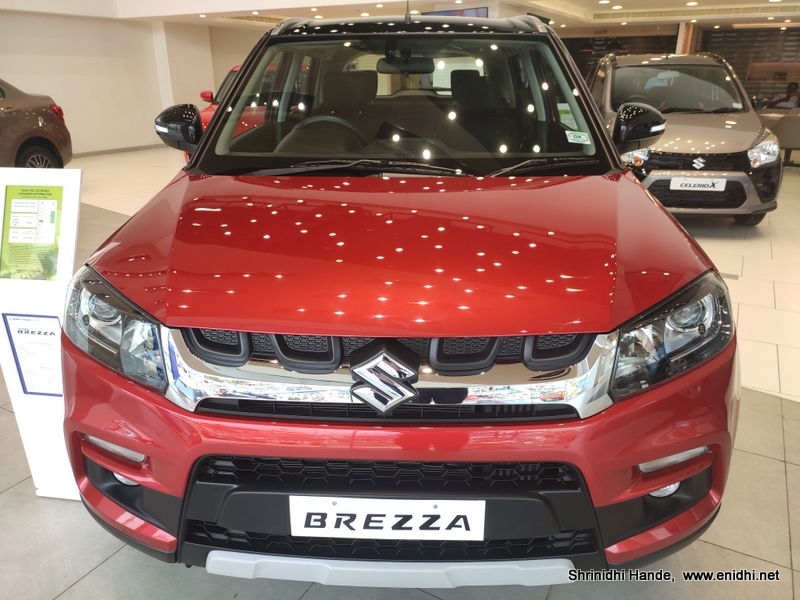 I spent some time browsing around this wonderful utility- it is available online on Maruti's website also- you can check it out from the comfort of your home. Accessory configurator also provides specification comparison with competition models, up to 4 of them. Overall, this thing has the potential to make a difference in car purchase experience-gives them real time feel and makes purchase decision simpler and quicker. Later in the day I also visited Mahindra showroom in Velachery to check out new XUV3OO. There I was told about the car in a conventional way- by thrusting a brochure into my hands and then explaining about the car hands on. While a few televisions displayed news/videos about Mahindra cars, couldn’t find any interactive screen like at Maruti. However later during the sales process I was presented with a tablet, that had details about the car. Tried comparing multiple models and it gave an error- later I was told only 3 models can be selected for comparison. Otherwise rest of the navigation was smooth, but viewing on small tablet is not a match to big screen experience of Maruti where the feel is better. 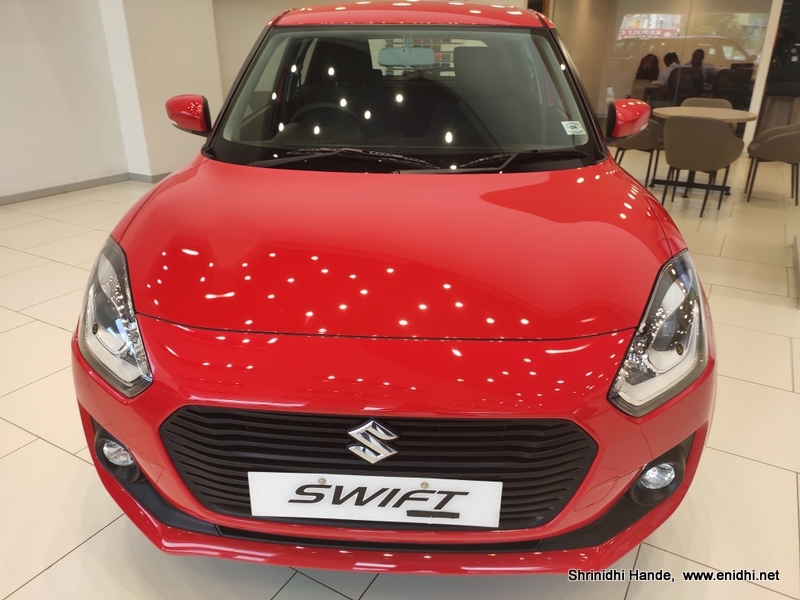 I had learnt Mahindra has a virtual reality solution, but Maruti's accessories configurator is more easier to play around and finalize your choices for the car. Overall good to see automobile companies focusing on enhancing user experience for walk-in customers, by making more use of advanced technology and making car purchase experience more convenient and purposeful. This is also absolutely essential for car makers, because a prospective customer already has most of the information about the car from internet. When he/she is showroom, he/she is expecting a more personalized experience, more accurate information and quick clarifications on any questions he/she may have. Good to see Maruti moving ahead in right direction in this aspect. With most models offering very similar features and competitive pricing, customer experience at the showroom will make a lots of difference in purchase decision. Maruti's technology adoption seems one step ahead of its competitors. Best wishes to them.